Finally I am here with a new kit! Have you missed me? :) Saint Patrick's Day is in the corner! The Some Luck kit contains 9 rich background papers (12X12), 2 letter size ATC backs (8,5x11,5) and 60 unique vintage and altered elements including shamrocks, flowers, vintage cards, ladies, men, beer, hat, wordart. Available at Mischief Circus! Halloween is near!!! We are debuting our C.Y.O.C. - Into The Darkness. C.Y.O.C. is a collection of kits and packs all designed with the same theme. My Into The Darkness kit contains 12 rich background papers (12X12) and 6 letter size ATC backs (8,5x11,5) and 72 elements in altered and art journaling style! Look at them! Available at Mischief Circus. 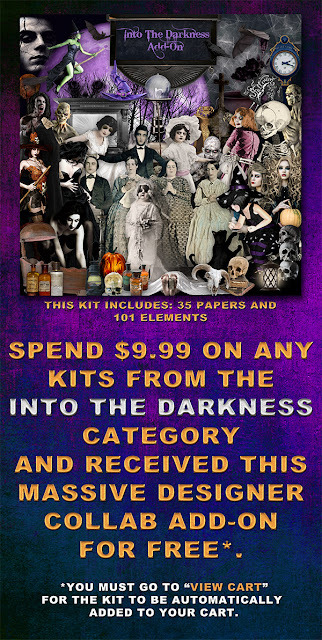 Purchase $9.99 from the Altered Realities category and receive our huge collab kit for free! We are debuting our C.Y.O.C. 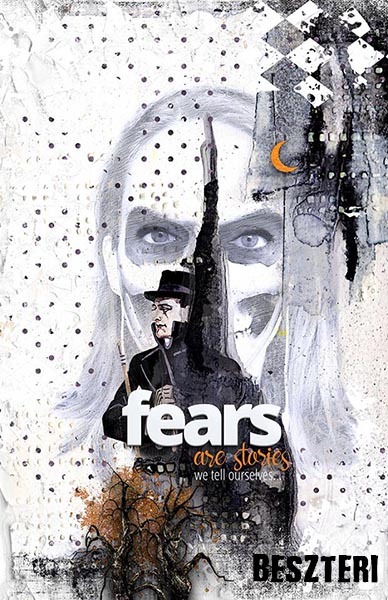 - Altered Realities. Altered Realities is a collection of kits and packs all designed with the same theme. My Altered Realities kit contains 4 rich background papers (12X12) and 9 letter size ATC backs (8,5x11,5) and 60 elements in altered and art journaling style! Some of the elements and papers are hand painted by me. EXTRA! 6 Printable Collage Sheets (8.5x11) are included. Look at them! Available at Mischief Circus. We also have iNSD and Birthday Sale too! 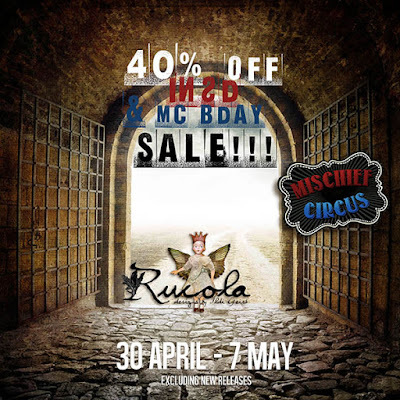 All of the products are 40% off and we have a free kit for the costumers! 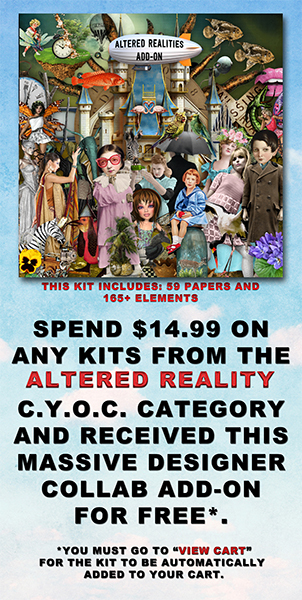 Purchase $14.99 from the Altered Realities category and receive our huge collab kit for free. Don't forget to check out the challenges and games in our forum!!! C.Y.O.C. 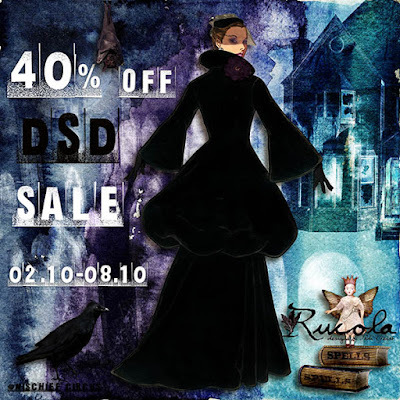 The Haunting and DSD sale! We are debuting our CYOC - The Haunting. The Haunting is a collection of kits and packs all designed with the same theme. My Haunting kit contains 9 rich background papers (12X12) and 4 letter size ATC backs (8,5x11,5) and 72 rich elements in altered and art journaling style. Look at them! Available at Mischief Circus. 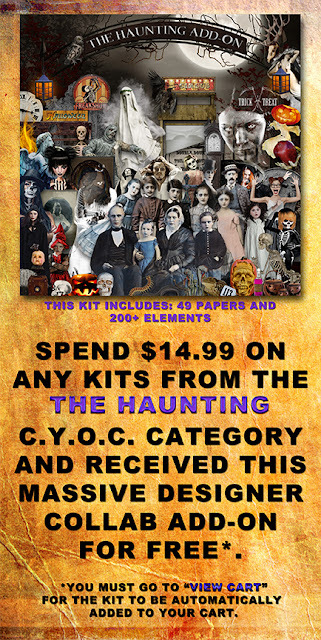 Spend $14.99 on any kits within The Haunting CYOC and score an amazing The Haunting Add-on kit for free! 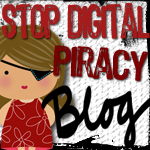 In honor of Digital Scrapbooking Day, we are throwing a party in our forum and shop. Almost the entire shop is on sale for 40% off! Rosh Hashanah literally meaning the "beginning (also head) [of] the year") is the Jewish New Year. The biblical name for this holiday is Yom Teruah literally "day [of] shouting/blasting." 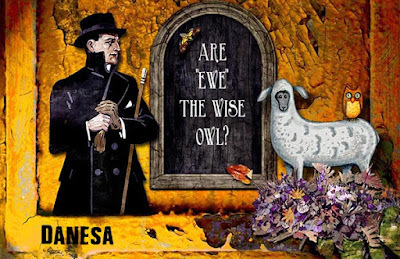 It is the first of the Jewish High Holy Days, which usually occur in the early autumn of the Northern Hemisphere. Today is the first day of the year 5778 and I'd love to wish you a good year with this kit. You can make gorgeous autumn pages with this package as well. Shana Tova! Shana Tova kit contains 9 rich papers and 60 vintage and altered elements. Available @ Mischief Circus. Are you ready to create your own collab? 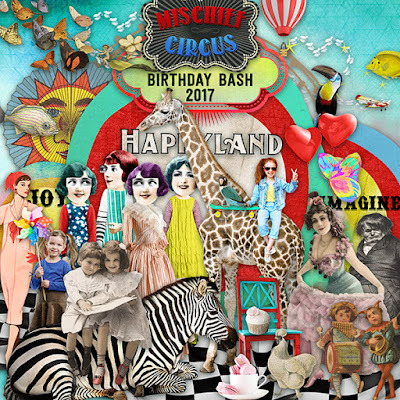 Here is the next couple of wonder from Mischief Circus! 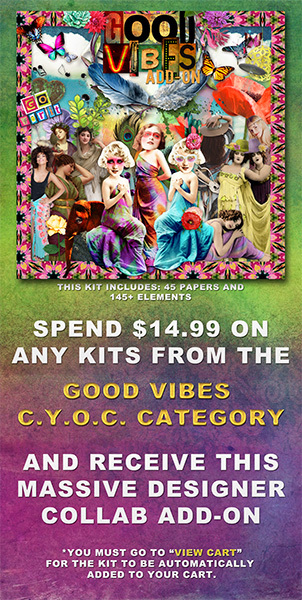 My Good Vibes kit contains 9 rich background papers (12"X12") and 4 letter size ATC backs (8,5"x11,5") and 60 rich elements in altered and art journaling style! Perfect for retro and music lovers! Don't forget to check out all of the wonderful kits!!! Oh Happy Day! New MM kit and SALE!!! 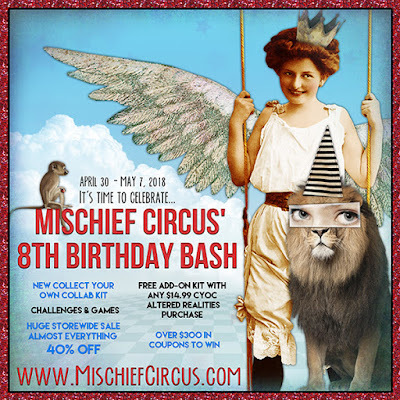 Let me introduce our brand new Monthly Mischief: the theme is Oh Happy Day this month. (Monthly Mischief is a collection of smaller size element and paper packs all designed to work together based on a color story and theme.) We gathered together a great amount of colorful spring elements and papers! My Oh Happy Day kit contains 40 elements including flowers, brushes and several other altered pieces and 12 rich background papers (12"X12"). 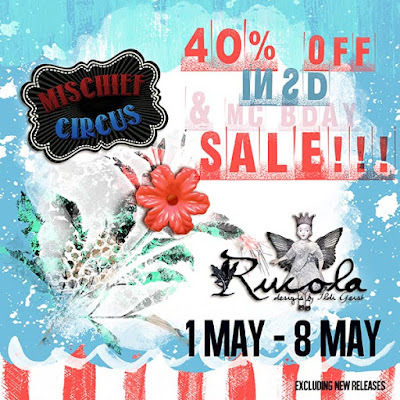 All available at Mischief Circus. We also have iNSD and Birthday Sale too! All of the products are 40% off and we have a free kit for the costumers! Purchase $7.99 from ANY category and receive our huge collab kit for free.